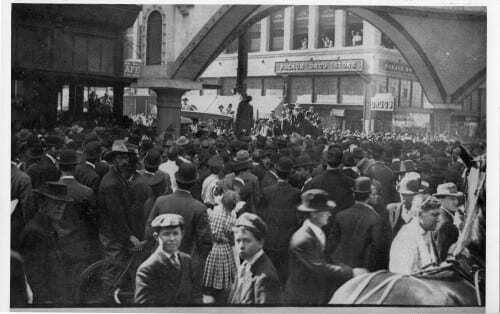 Real photographic postcard of Allen Brooks lynching, March 3, 1910. Courtesy Dallas Historical Society. Used by permission.